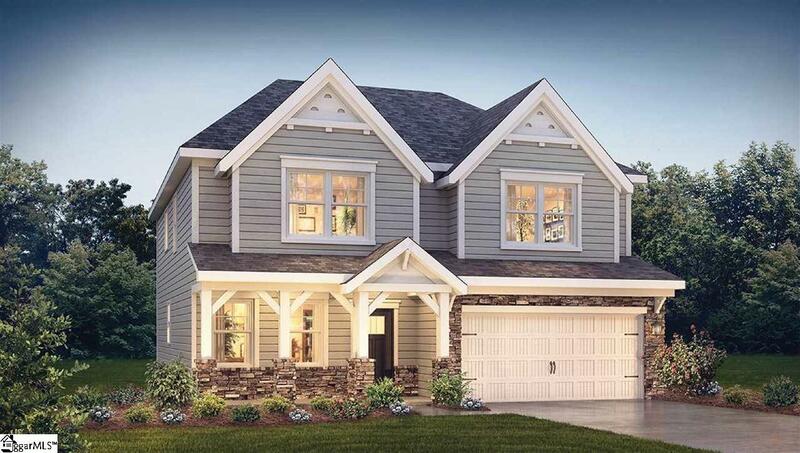 This 4 bedroom, 4 bath home has plenty of room for households of all sizes! The formal with chair rail and wainscoting is perfect for both formal and casual dinners and gatherings. The oversized kitchen has beautiful cabinets, a bar top island with seating, granite countertops, ceramic tile backsplash, stainless steel gas range, dishwasher and microwave are a cooks dream. A bedroom and full bath complete the downstairs. There are 3 bedrooms, 3 full bathrooms and an amazing loft/recreation room upstairs. The master bedroom has a trey ceiling and large walk in closet, the master bath has ceramic tile floors, a ceramic tile walk in shower and separate soaking tub. A Jack and Jill bathroom connect two the remaining bedrooms and the laundry room is conveniently located in the hallway. This home is complete with 5 inch hardwood flooring throughout the main living areas and a 2 car garage and lots of great built in energy saving features. We thought of everything with this one. That's why The London is one of our most desirable plans.